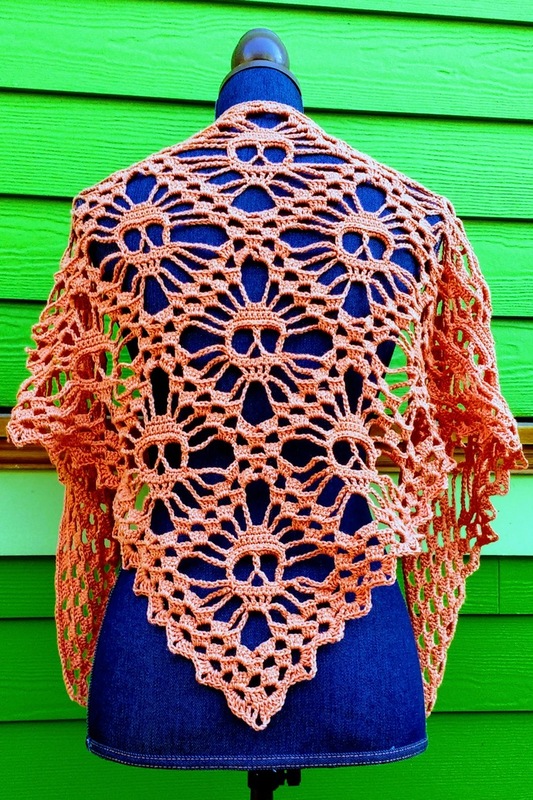 This Skull Shawl is made in sparkly orange yarn so you'll stand out on Halloween, Dia de los Muertos, or any time you want to show off your love of bright skulls. 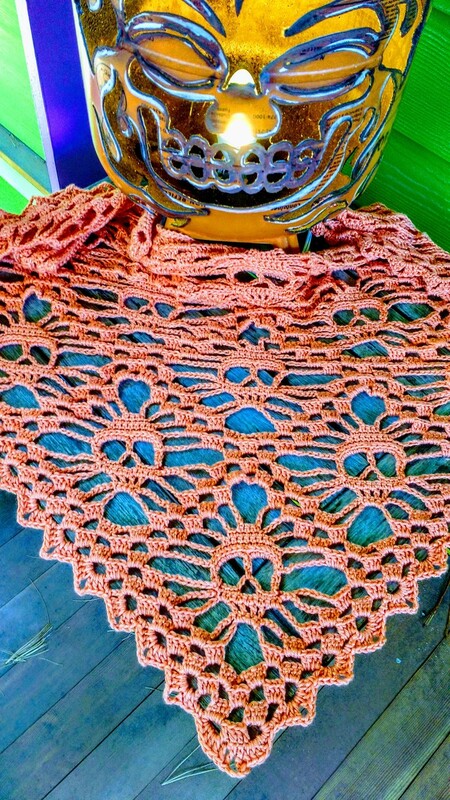 There are 15 skulls in all, starting with one at the tip and increasing one per row until there are five across the top of the shawl. The sparkles are hard to capture in pictures, but I promise that there is a gold sparkly thread running throughout this shawl and it shines in person. 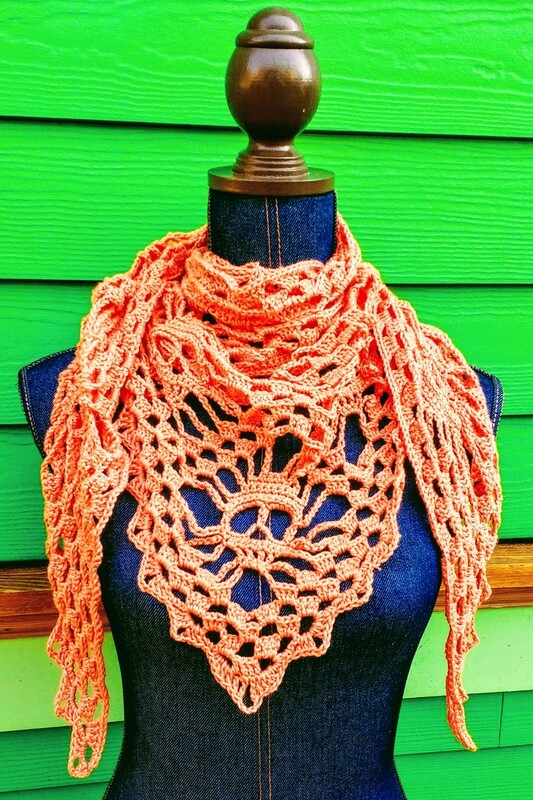 This shawl is made in a machine washable cotton/acrylic blend with a touch of metallic for sparkle. 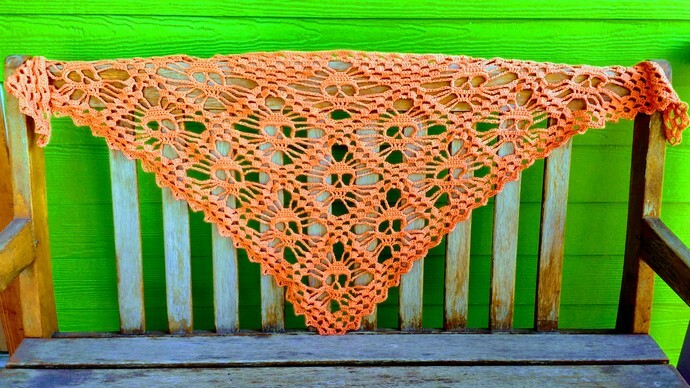 While the yarn can be machine dried, I recommend drying your shawl flat to best maintain its shape. 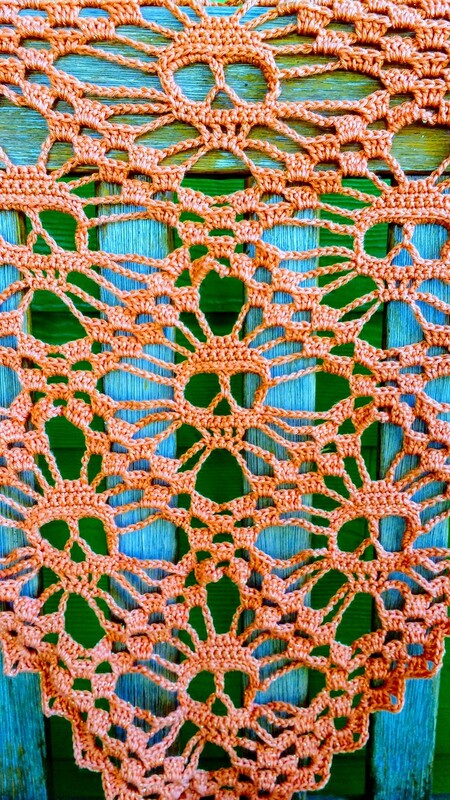 This shawl measures about 62 inches across the top and 26 inches down the spine. 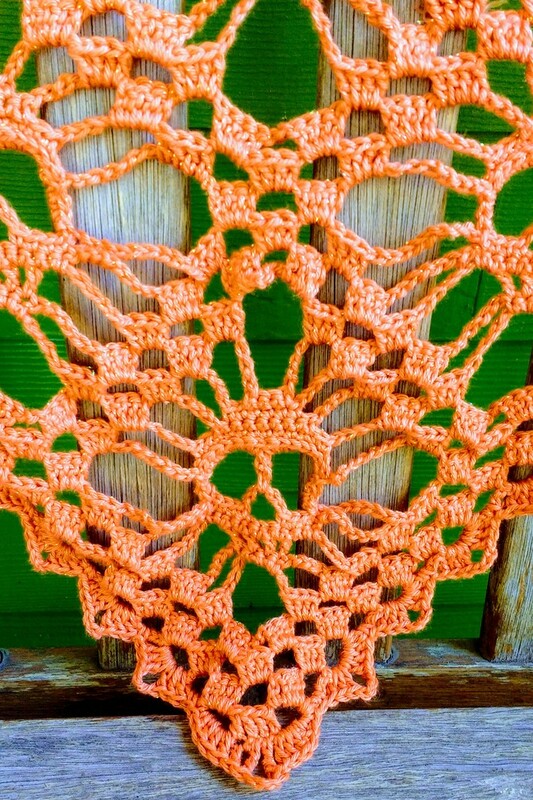 This shawl will be shipped USPS Priority Mail to US addresses. 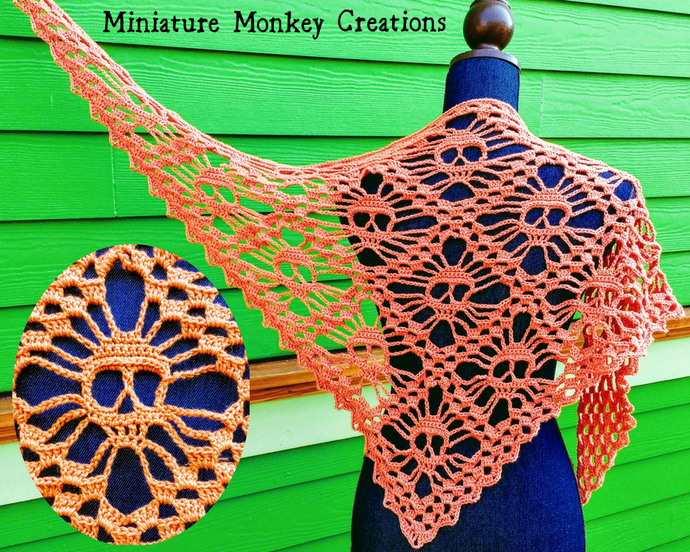 Would you like this shawl in another color or non-sparkly yarn? 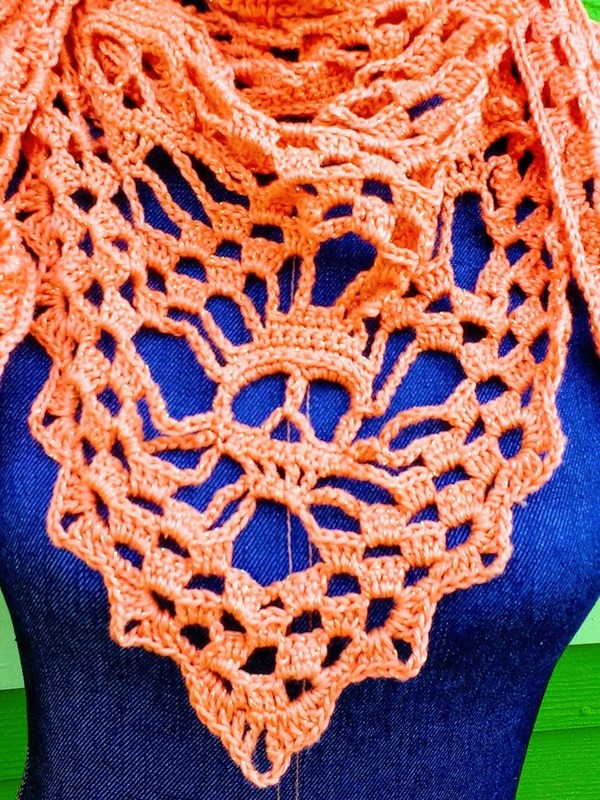 Feel free to use the contact button to make all your shawl dreams come true.